O Brave New World . . . When man roamed freely among the planets and away to the stars, spacecraft had to carry the best advisers with them, for outside help was usually too far off to do any good in emergencies. And so the android simulacrum was born – a conveniently storable but believably human package which duplicated all the strengths of the Master after whom each was modeled. 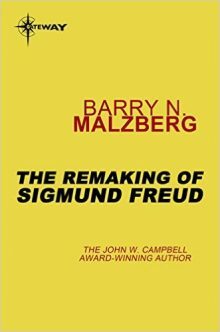 For centuries a Sigmund Freud was standard equipment on long voyages, but put to little useThen Man met his first etees, and Freud’s career entered a new phase – one which would change history forever.